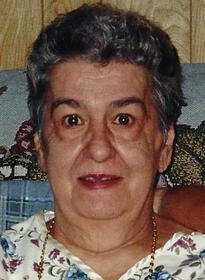 Age 83, of North Tonawanda, on January 2, 2017, wife of the late Matthew Markovich; beloved mother of Harold L. (Jo Wilcox) Stringfellow and the late Vicky Heaps; proud grandmother of Bobby (Courtney), Dustin, Hope (Meghan), Danielle (Franklin) and Joe; great-grandmother of Savannah, Emmalynn, Katie and Andrew; sister of Betty Creel, Katherine (Chase) Rodeffer and Lorraine (William) Kaiser and the late Vernie Stickles, Jean McMurry and Dale Reynolds; sister-in-law of Elaine Stickles; also survived by many loving nieces and nephews and her niece/caregiver, Tammy Boisvert and many life-long friends. Friends received on Wednesday from 5-8 PM at the BRUNNER FUNERAL HOME, 156 Robinson St., North Tonawanda. Interment will be private at the family plot in Crawford Cemetery in Salamanca, NY. Charlene worked for DeGraff Memorial Hospital for 31 years until her retirement at age 80. Memorials may be made to Niagara Hospice House.